The former UFC light-heavyweight champ continues to fine tune his physique in preparation for next fight. 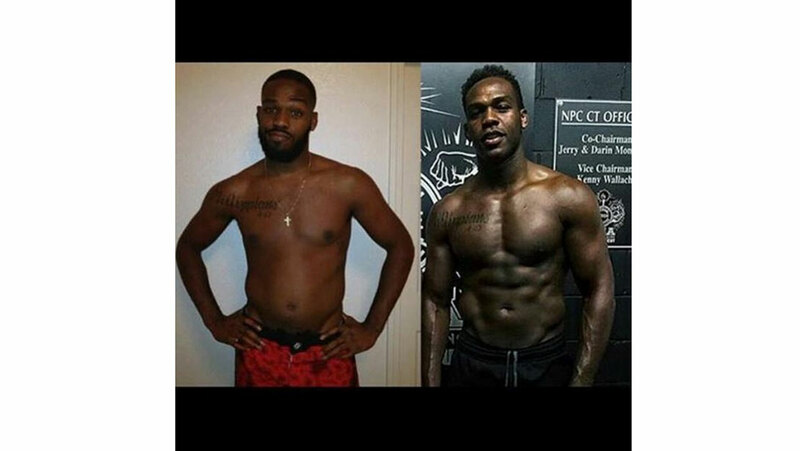 If you've been following the progress of Jon Jones over the past few months, you know the former UFC light-heavyweight champ has been going at it hard in the gym, and sharing his progress on Instagram along the way. In his most recent post, Jones is at it again, only this time he's showcasing his broad jumping and situp prowess. Check out the lower body power he demonstrates on the jumps and the abs strength during the barbell situps. Pretty impressive stuff, which has got to make upcoming challengers take note. Jonny Bones is lookin' good! Clearly, Jon Joneses dedication to hitting the weights has resulted in an amazing physical transformation. Late last year, he posted a slender looking photo of himself from two years ago next to a currently ripped physique, writing, "Started powerlifting June 1, 2015. In just about seven months of training four days a week, my body has made a complete transformation... Off season 2013 vs. off season 2015." teammate of Holly Holm at Team Jackson-Winkeljohn in Albuquerque, New Mexico.